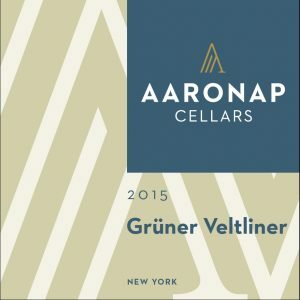 Summary: The Grüner Veltliner grape hails originally from Austria, but we stumbled across a vineyard in the Finger Lakes of New York that grows fantastic Grüner in the mineral laden soils. Wonderfully aromatic and luscious, this oddball grape has the reputation for being a incredibly food friendly wine. Aromas of lime, honeysuckle, white flowers, & tropical fruits grace the nose. The palatte is caressed with a honeyed weight, tingling acidity, & a mineral-laden finish. Pleasingly off-dry. Food Pairing Suggestions: Roast chicken and fruit compote, spinach and mushroom quiche, roast pork, grilled asparagus, smoked salmon, or fresh sushi. Aging Protocol: 24 months in stainless steel.